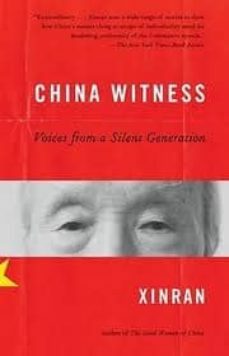 China Witness is a remarkable work of oral history that lets us see the cultural upheavals of the past century through the eyes of the Chinese who lived through them. Xinran, acclaimed author of The Good Women of China, traveled across China seeking out the nation’s grandparents and great-grandparents, the men and women who experienced firsthand the tremendous changes of the modern era. Although many of them feared repercussions, they spoke with stunning candor about their hopes, fears, and struggles, and about what they witnessed: from the Long March to land reform, from Mao to marriage, from revolution to Westernization. In the same way that Studs Terkel’s Working and Tom Brokaw’s The Greatest Generation gave us the essence of very particular times, China Witness gives us the essence of modern China—a portrait more intimate, nuanced, and revelatory than any we have had before.